The Viking is back from another adventure and this time he was battling with the CasinoGods. 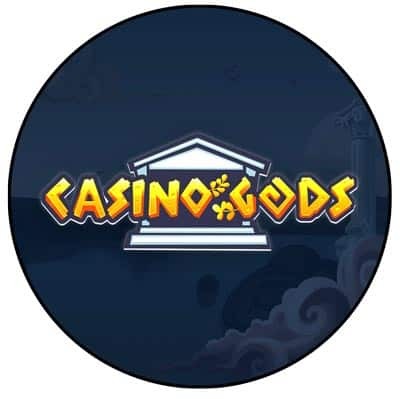 Casino Gods is a brand new online casino that already has people talking about it. This is because the casino has some great aspects to it. There is the epic theme of the Greek Gods. The fact that it is part of Genesis Global Limited which in turn brings great perks like licenses from both the UK Gambling Commission and the Malta Gaming Authority. This casino also supports mobile and tablet devices which is great as many players enjoying being able to play in their spare time where ever they may be. As with all of the Vikings review, he will be looking into what this casino has to offer his readers in the sections of promotional offers, games, providers, payment options, and technical support. The first noteworthy thing to mention about the promotions is that they might very well change over time. Especially as this is a brand new casino and it will be trying to accommodate and please as many players as possible. This means if you are looking to claim a promotion you should first check out their promotional page. One promotion that they are more than likely to always offer in one form or another is the welcome bonus. This is a onetime offer that gives new players bonus funds and free spins on their first deposit. Finally, players will also find that this casino has a VIP program. If you manage to become a VIP you can expect to get a host of great rewards and benefits. This includes exclusive bonuses, dedicated account manager, personal withdrawal service, and much more. At the time of writing this, Casino Gods have over 1300+ games including poker, blackjack, roulette, slots, jackpots, and live casino games. The slot section of the casino offers the most games on offer. This includes some big titles like Raging Rex and Book of Dead by Play’n Go, Starburst by Netent, Book of OZ by Microgaming, and many more. You will also find other top iGaming providers here like Red Tiger, Yggdrasil, Evolution Gaming, NYX, and Quickspin. All of this combines to make a fantastic games selection and one that will keep players entertained for countless hours. If you happen to encounter a technical issue you will have a few different options available to you. This includes live chat, email, telephone, and an FAQ. All of these are great options and should ensure you receive fast and effective help. Casino Gods provides players with a payment methods page. This makes it easy for players to find out if they will accept their preferred payment provider. The page includes providers like VISA, MasterCard, Boku, Maestro, Trustly, Neteller, and many more. After having battled it out with the Casino Gods the Viking is confident that his readers will want to visit this casino. He enjoyed the theme of the casino and the ability to play via his mobile and tablet devices. He also loved the sheer amount of games there were to choose from and how he could return day after day and still find new ones to play. So would you like to follow the Casino Viking and do battle with the Casino Gods? If so then just click on the link above and sail then now.